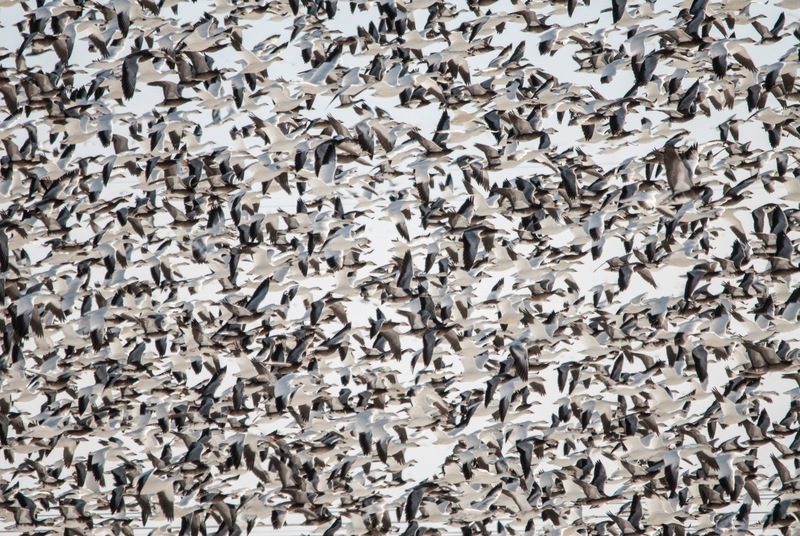 Just a portion of a Snow Goose flock. Rob and I, along with our friend, Landon, headed down to southern Indiana in search of a few target species. We weren't all that successful on that front; we only saw one, a Golden Eagle. We were very lucky with the eagle and had brief but great views. We spent a few hours searching for a Ferruginous Hawk that has wintered at Sommerville Mines the past couple winters without luck. But, we did have nice views of a dark-morph, western Red-tailed Hawk. Our other miss, a Loggerhead Shrike, may have given us a brief, distant glimpse, but it disappeared before we could get an adequate look. 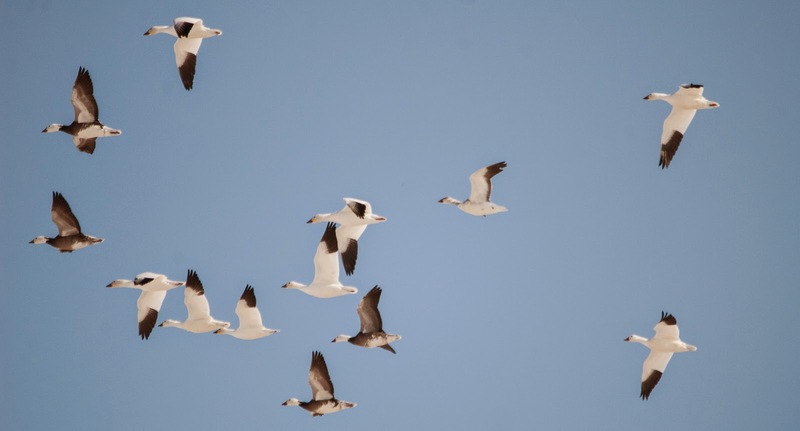 A closer view of the Snow Goose flock pictured above. In the mid-afternoon we headed over to the Gibson Lake area to look for the big concentrations of Snow Geese that winter in the area. 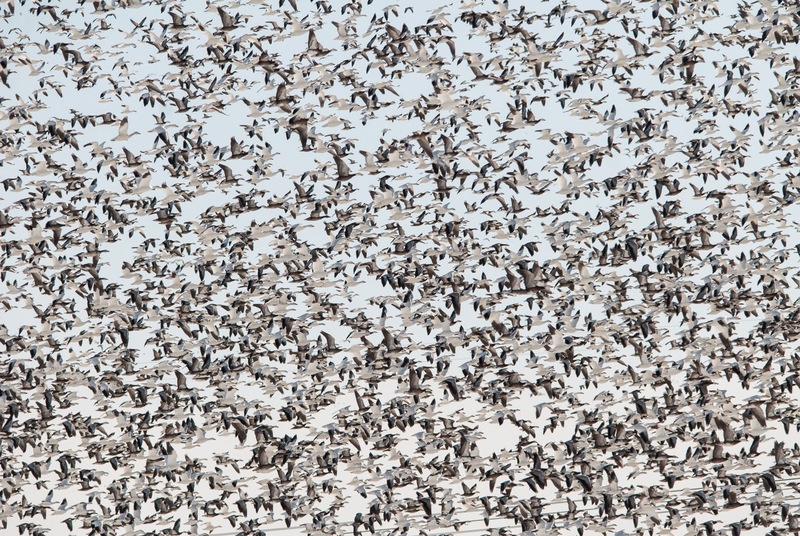 It didn't take long to locate a large flock; we estimated over 35,000 total. There were also thousands of Mallards, hundreds of Greater White-fronted Geese, and a spattering of other waterfowl species in the mix including a handful of Ross's Geese. If the waterfowl numbers weren't enough, there were also a couple thousand blackbirds that included a good mix of Common Grackles and Red-winged Blackbirds and lesser numbers of Rusty Blackbird. 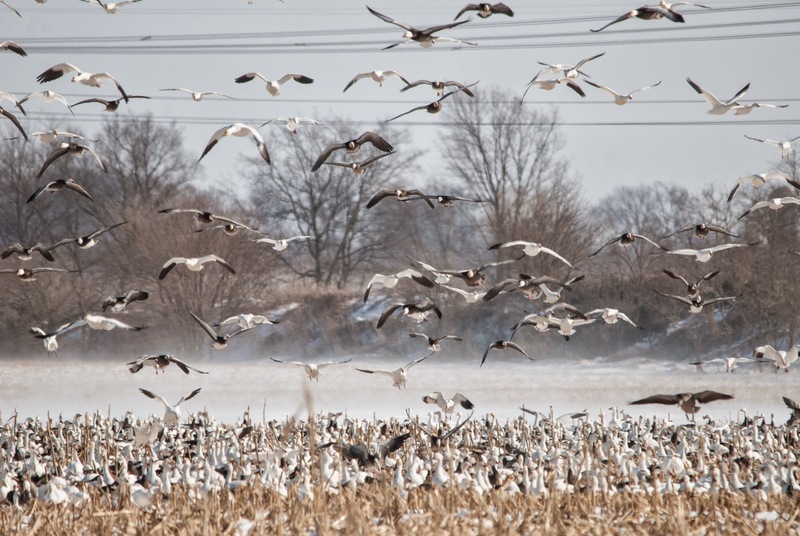 Snow Geese coming down to feed in a field. A closer view of some of the snow Geese.